Honda S2000 is manufactured in Japan. Honda claimed that it was the world’s top level, high performance 4-cylinder engine. The Honda S2000 was manufactured to celebrate Honda’s 50th anniversary. Honda is one of the most respected automobile manufacturers. The Honda S2000 is one of the best rated vehicles for reliability, design and handling. 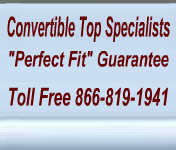 Each of our Honda convertible tops is manufactured to original pattern specifications and we offer the original fabric selection. Our Honda tops will instantly renew your vehicle to show room condition.